We make every attempt to keep the gold and platinum prices up to date. However with the very volatile precious metals market, there may be drastic price changes over night. If there is any change in the price of the ring, we will notify you before proceeding with your order. 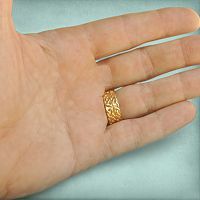 Real GOLD at bargain prices! 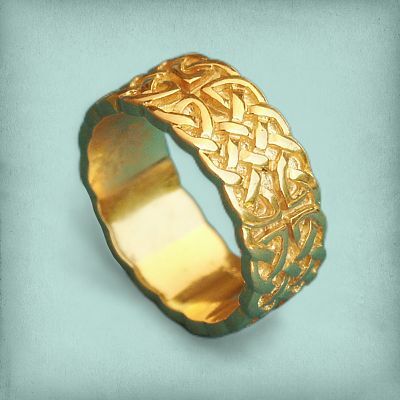 Many years ago, we used to offer our rings in gold. 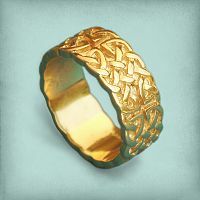 During our spring cleaning this year, we discovered a very small collection of unsold rings that we are now re-listing. Very limited styles and sizes, but we're making up for that with HUGE savings. 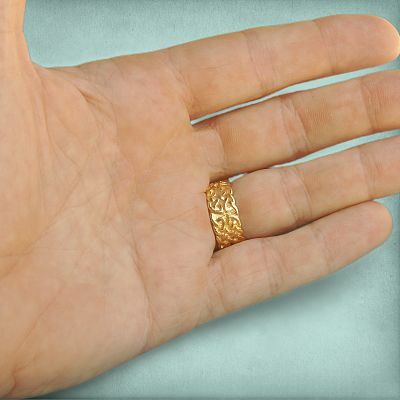 Because we had them made when gold was significantly less expensive, and because we are closing them out for good, we can offer them to you today at considerable savings. 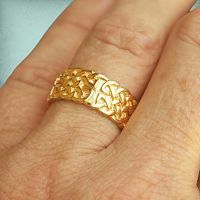 Do you have any other questions about our Yellow Gold Wide Celtic Knotwork Band - Size 8.5?